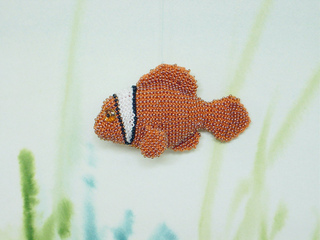 The Clown Fish is knit flat using beaded knitting techniques described in pattern. 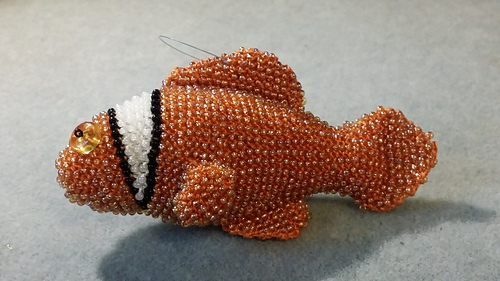 The fins are picked up and knit onto the fish body. Assembly is easy - only one seam.